Nokia Lumia 1020 - 41 MP PureView Camera 32GB Internal Memory - The Tech Evangelist! Nokia Lumia 1020 - 41 MP PureView Camera 32GB Internal Memory - The Tech Evangelist! 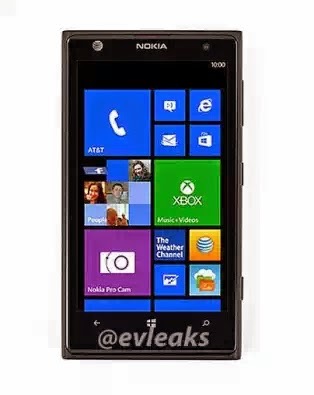 @Evleaks Recently Leaked the New Nokia Lumia 1020 Photos. Though with Limited specifications. The leaked image also reveals a potential release date for the EOS. In the bottom left corner we see the date July 22, 2013, which is when the store will receive its shipments. The handset should hit the market afew days later. 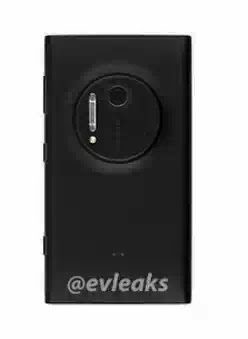 Nokia is expected to unveil the handset at a press conference planned for July 11 in NY Atleast, we were able to get a few specification which turns outin one way to be the Key features of the New Lumia 1020. Nokia Lumia 1020 also known as Nokia EOS has no Much difference from other Lumia smartphones in terms of Physicaldesign. That is to say that it hasalmost the same Body design of other Lumia Phones. Below are the Key Features of Lumia 1020 Smartphone. Like Other Lumia Smartphones, Lumia 1020 runs on Windows Mobile Operating System 8. Lumia 1020 is expected to come with a 1.5 GHz Qualcomm Snapdragon S4+ processor, 1 GBRAM. Lumia 1020 Has an Inbuilt memory of 32GB and does not have an MSD slot for expansion of memory. Lumia 1020 is expected to have a 4.5 inch AMOLED screen with HDresolution of 720 pixels and protection of corning Gorilla glass protection also. The Most exciting feature of theNew Lumia 1020 is that It has 41MP Pureview Primary Camera with pro cam App which enables users to manually customize and control every settings of the camera. The Camera also features carl zeiss, face detection, auto focus,xenon flash. The 41 mega pixels camera in Nokia Lumia 1020 is able to capture videos at full HD resolution of 1080 pixels with 30frames per second. Nokia Lumia 1080 also comes with a Secondary camera which MegaPixel is Unknown Yet!!! Lumia 1020 comes in yellow, black and white colors.